يشكل فندق إيبيس سيدني دارلينج هاربر بموقعه الممتاز في سيدني نقطة انطلاق جيدة لاستكشاف هذه المدينة النابضة بالحياة. يمكن من هنا للضيوف الاستمتاع بسهولة الوصول إلى كل ما تقدمه هذه المدينة النابضة بالحياة. إن سهولة الوصول من الفندق إلى المعالم السياحية الشهيرة الكثيرة في المدينة كمثل هاربور سايد, Australian National Maritime Museum, Sydney by Sail Tour هو استثنائي بحد ذاته. يعرف Accor Hotels بالمستوى الراقي لخدماته ولباقة موظفيه، وهذا ما ستجده في فندق إيبيس سيدني دارلينج هاربر. يقدم الفندق فرصة للاستمتاع بشريحة واسعة من الخدمات بما فيها: مكتب الاستقبال على مدار الساعة, مرافق مخصصة لذوي الاحتياجات الخاصة, تخزين الأمتعة, واي فاي في المناطق العامة, صف السيارات . في الفندق غرف نوم يتجاوز عددها 256، كلها مجهزة بعناية وجمال وبعضها مزود بـ تلفزيون بشاشة مسطحة, غرف لغير المدخنين, مكيف هواء, تدفئة, مكتب. كما أن مجموعة الخدمات الواسعة الموجودة في الفندق لضمان راحتك تترك لك الكثير من الخيارات لقضاء وقتك أثناء فترة إقامتك. اكتشف مزيجاً ساحراً من الخدمة الاحترافية والخيارات الواسعة من وسائل الراحة والمتعة في فندق إيبيس سيدني دارلينج هاربر. 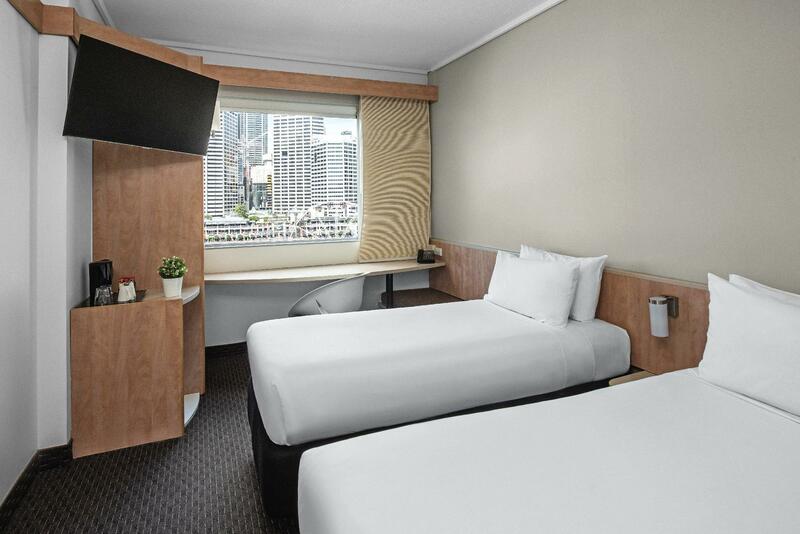 Easy walking distance to Sydney convention & exhibition centre. fantastic breakfast - well worth paying extra for it, if you somehow didn't do your booking to include it. darling harbour & all it has to off is right on your doorstep. 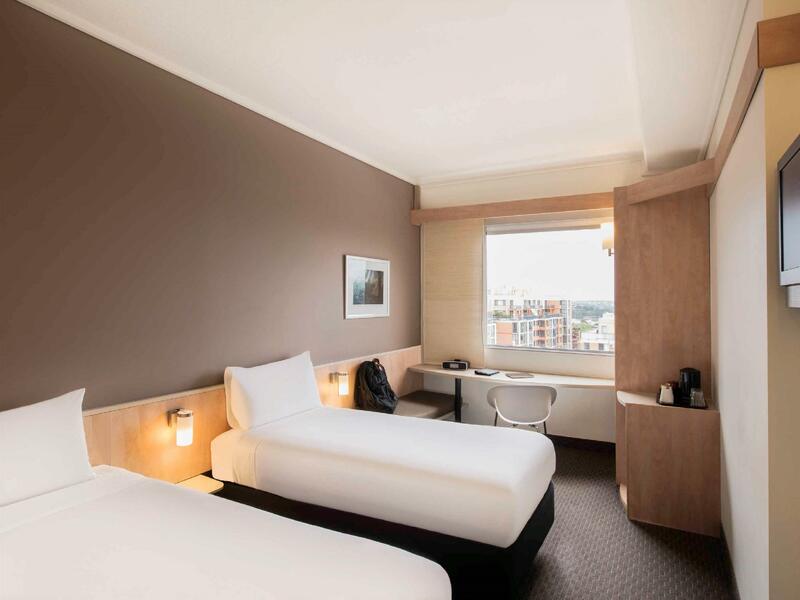 rooms are on the compact size, but they have everything you need & you really only need to sleep & shower there. This was our 2nd stay & we will go back again. Dear Anita, Thank you for taking the time to post a review following your stay. 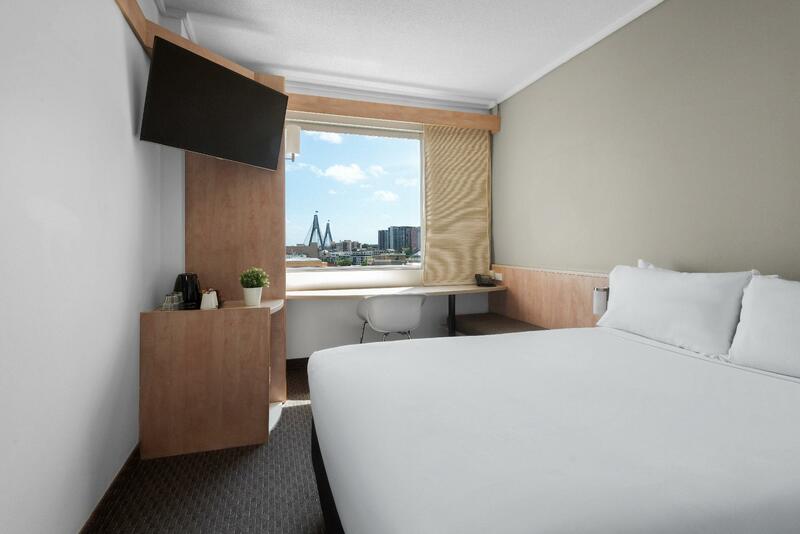 I certainly appreciate the feedback and am pleased to read that you had an enjoyable time whilst visiting Darling harbour and found the Hotel suitable for your needs. we certainly look forward to welcoming you back again in the future. Regards, Andrew H, GM. Great Hotel offering you what you want to pay.Prices very competitive through Agoda.My room had 2 single beds and had all the basic amenities including 2 large bottle of water.Ample supply of coffee and tea.For 10aud you could move into a double bed and for 25aud you can have a room with darling harbour view.Really awesome as I had done it before.Breakfast was great with everything offered from coffee and juices to deserts and fruits.Cost 15 aud if booked on site pay 19 aud as you enter.Can be very crowded sometimes but they have outdoor sitting as well.Staff are great and there is a bar on the ground floor.Check out time is 11am.Only hitch was I had drinks and food in the bar and they could not find the bill when I checked out.They took about 25 mins still no luck?So they decided not to charge me. We stayed here whilst we attended a trade show at the new Sydney Exhibition Centre. 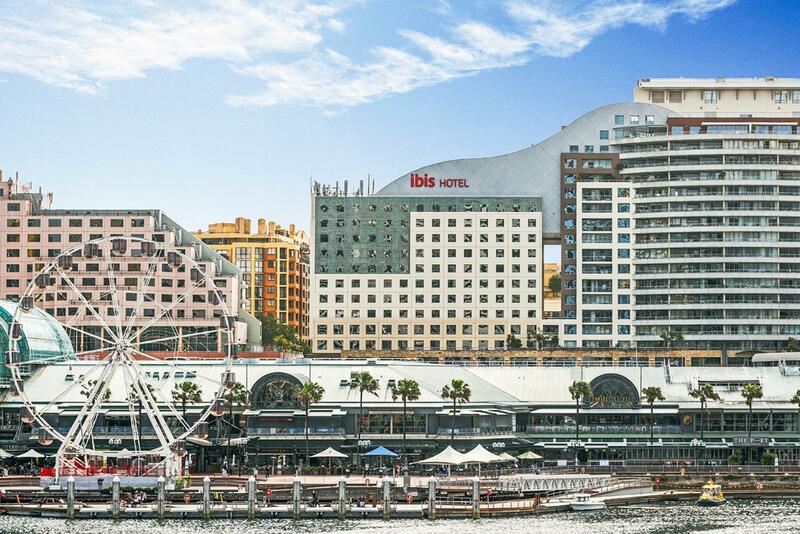 This hotel is an easy walk to darling harbour shopping centre & the Exhibition Centre. Small, compact rooms, with all the necessary fittings. Will happily stay here again - Breakfast was great! While the location, service and cleanliness is good, the size of the room is too small for the price paid. Its a shoe-box kind of hotel that we usually find in Hong Kong. Could have gotten bigger room in neighboring hotels for similar price. Good for a day stay but any longer might be too much a stretch (I stayed for 4 days - didn't want to move around). 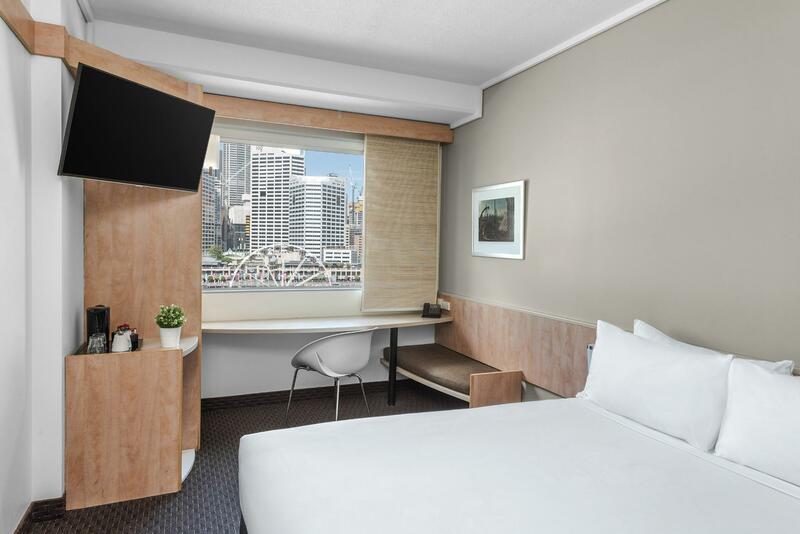 Was a little apprehensive in booking this hotel due to the varied reviews but as we were driving up frm Melbourne, we just needed a place near all the sights so we do not need to spend time travelling the next day. Turned out to be a real blessing as we were there on the vry first day of the Sydney storms so we were pretty much grounded the next day. However due to the location of the hotel, there were amble sights for us to explore by foot & a wonky umbrella. The room is small but hey who's gonna spend so much time indoors when one is in inner Sydney. The room looks refurbished so even though its small it has every functional amenities built in. The bed is really comfortable & tat is the only regret wet had.... Not able to spend more time on it. So after being spectacularly let down by the Novitel next door I walked into the Ibis and was greeted by a friendly guy at reception who found me a room and even gave me a free drink voucher. I went to the room and while it was small it was perfectly equipped and presented. I ordered dinner (steak n chips) from the room service menu and shortly after it was bought to the room. Perfectly cooked and a huge steak which was delicious. I checked out in the morning after a quiet nights sleep and found they'd not only given me the free drink but had also discounted my meal. Exceptional service, staff and food. If you don't mind a small room I would highly recommend you spend your money here. Thank you Ibis. We had a private fireworks display over Darling Harbour (last night of July fireworks) with a perfect view out of our room, the view over the harbour was wonderful and we were very close to everything. The room was basic but good. The bathroom was tiny and the shower was very hot but not very powerful water flow. Basic tea and coffee in the room, no mini-bar (if that's important to you). Staff were polite, friendly and helpful. Not the most romantic hotel I've stayed in, but would definitely use it again or recommend it just because of the location. Dear Barbara, Thank you for taking the time to post a review following your stay. Please accept my apologies that we did not meet your expectations despite the comfortable bedding. I hope this will not deter you from choosing other Ibis Hotels again in the future. Regards, Andrew H, GM. Good location but price is a bit high! Rooms are sooo small and the guy at the reception was not warm. We complained about 2 separate beds being there nothing was about it until we had to follow up and finally they gave another room which again was with 2 separate beds and again we had to come down taking all our luggage and then finally they gave us one small tiny congested room where we did not have space even to open our suitcase. However the location of the hotel was very good. The location is the best thing about the hotel. My conference was at International Convention Centre. There are walkway bridges leading to the Harbourside Mall and to ICC. The staff were very friendly and helpful. The room is clean. What I really want to improve is the availability of a digital safe locker in the room. I have to place my valuables in the safety deposit box beside the reception area. I would come back to this hotel. Happy with the location. It seemed a bit overpriced for a small room but I expected that with the central location. I was happy we had a great view of the harbor. The check-in staff was excellent and very helpful. Electrical plug locations and access seemed limited. Breakfast charge was $15.00aud and was nice with a good selection. I was staying in Ibis for a couple of days during my business trip ,the location was good and convenient but the room was slightly smaller. The area was clean and staff are pretty friendly. So if I am staying alone the next time, it will be a present stay. We really enjoyed the location of this hotel, it was so easy to get to the station and in and out of the city. The hotel room wasn't fancy but had absolutely everything we needed and was fantastic value for money.